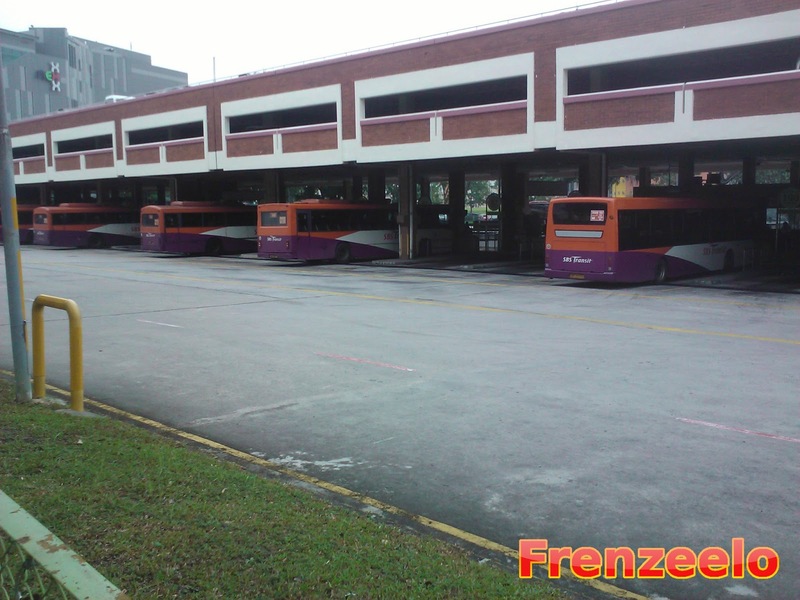 Have you ever visited a bus interchange in Singapore? A lot of people see a bus interchange as just another facility to transfer to buses/MRT, head to the nearest shopping mall/market or just top up your EZ Link card. A bus interchange is more than that. It's where thousands of people rely on for their daily commute, it's where people meet up with friends or family and it's a hang out place for bus drivers. 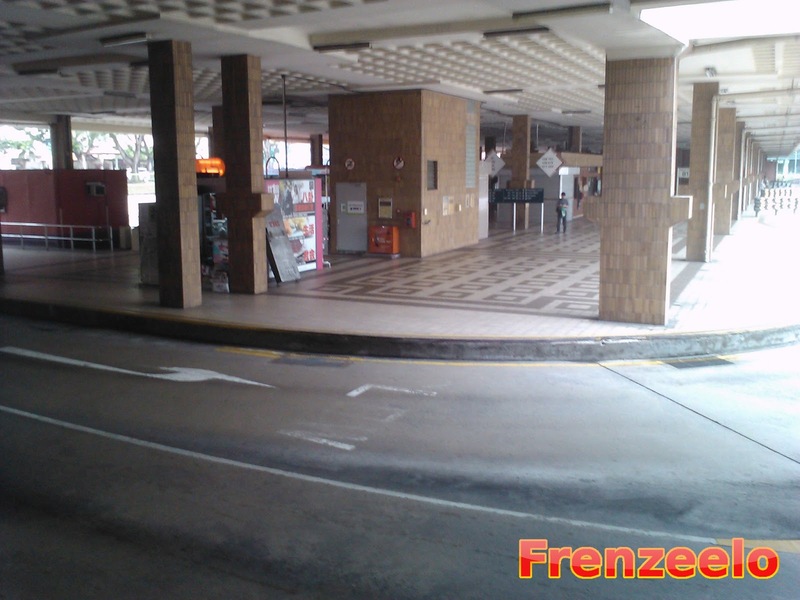 The Old Serangoon Interchange was full of activity and with effect from 3rd September 2011, it has closed down and moved to the new Serangoon Interchange which is integrated with Serangoon MRT Station and NEX Shopping Mall along Serangoon Ave 2. 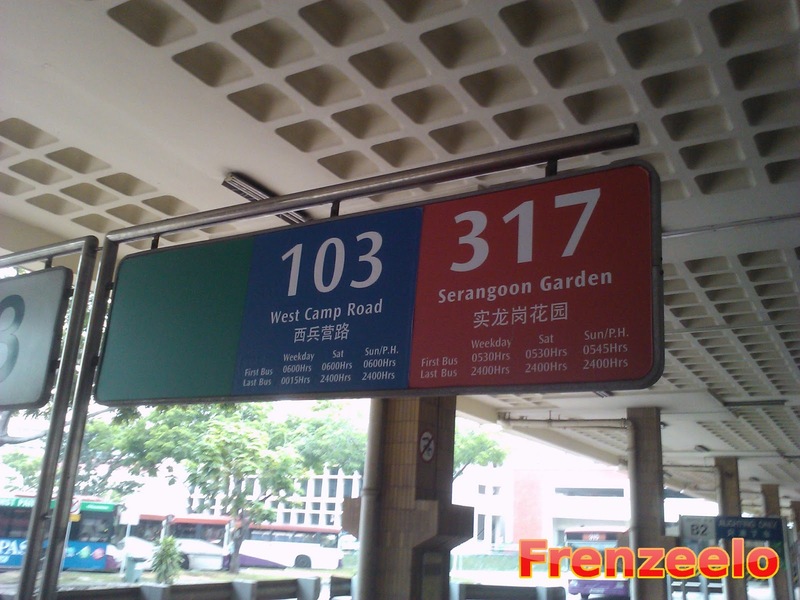 The Old Serangoon Interchange started operations in the 1980s and it's located along Serangoon Central. The new air-conditioned interchange is located along Serangoon Ave 2 which is barely a stone's throw away. Just like typical bus interchanges, it has all the typical facilities like the bus parking area, passenger waiting areas, Passenger Service counter, Ticket Office, shops, Add Value Machines and information boards. However, there are some features at this interchange that stand out from modern air-conditioned interchanges. It's multi-level with two levels of car park above the interchange and it's also directly linked to the Serangoon Central town centre and NEX Mall. If you look carefully at the ceiling of the interchange, it has a slightly unusual design. They look like rounded square grooves. I'm not really sure why the shape's like that but I have a feeling that it's actually part of the car park that's above. 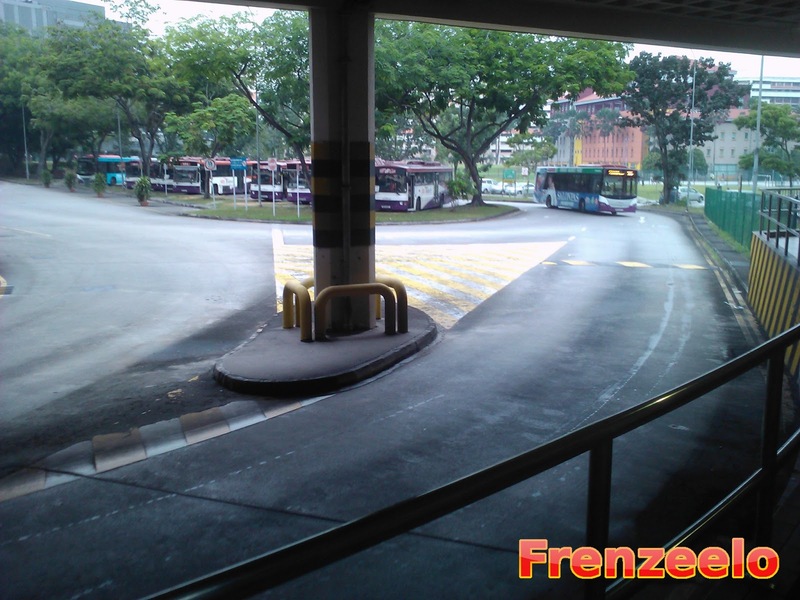 Most bus interchanges that were built in the 1980s have brown coloured interiors including the Old Serangoon Interchange, the current Bishan Interchange and the defunct Hougang South Interchange (Now known as Kovan Hub). Those brown interior colours will definitely be full of nostalgia and will bring back memories of the past. This Interchange also has a selection of shops near the back of the interchanges which used to house a comic book store, a shop that sells refrigerated items, an interior design office and so much more. Unfortunately, the shops too had to close down as a result of the interchange closure. Nearer to the Passenger Service counter, there used to be two small provision shops that sold a wide variety of things like cold drinks, newspapers, snacks, magazines and essentials. Now, it's all gone and most of the shops and the offices have been shuttered and left to rot. The Buzz outlet that was located near the Passenger Service counter moved to the new interchange. 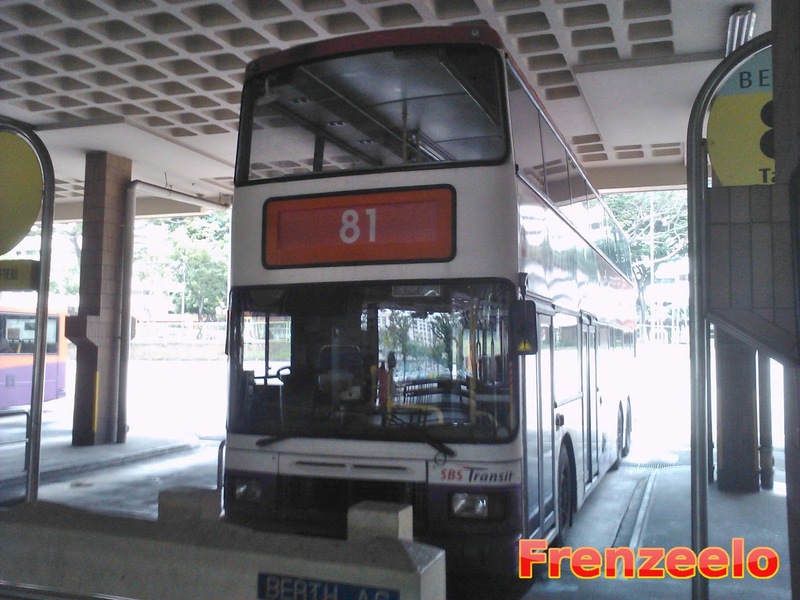 The Old Serangoon Interchange used to have double decker buses that ran on bus service 81. 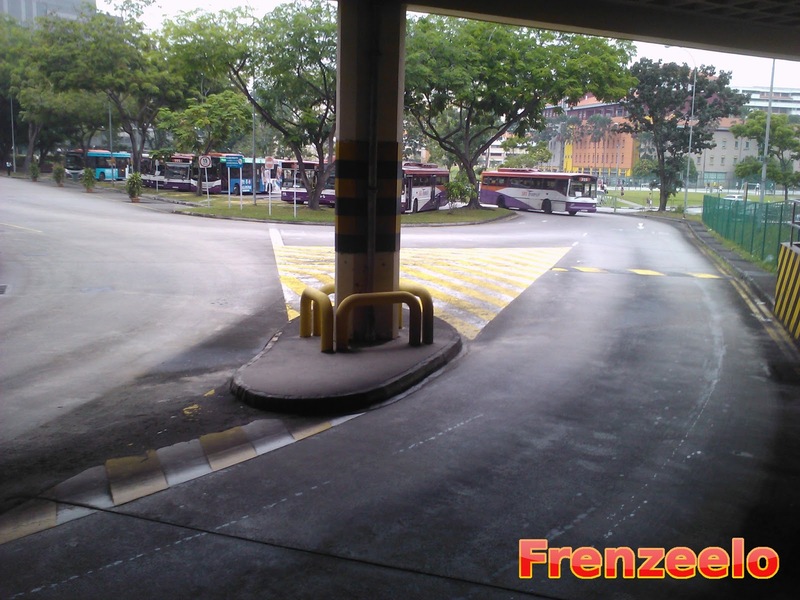 81's route used to be from Tampines Interchange to this interchange. 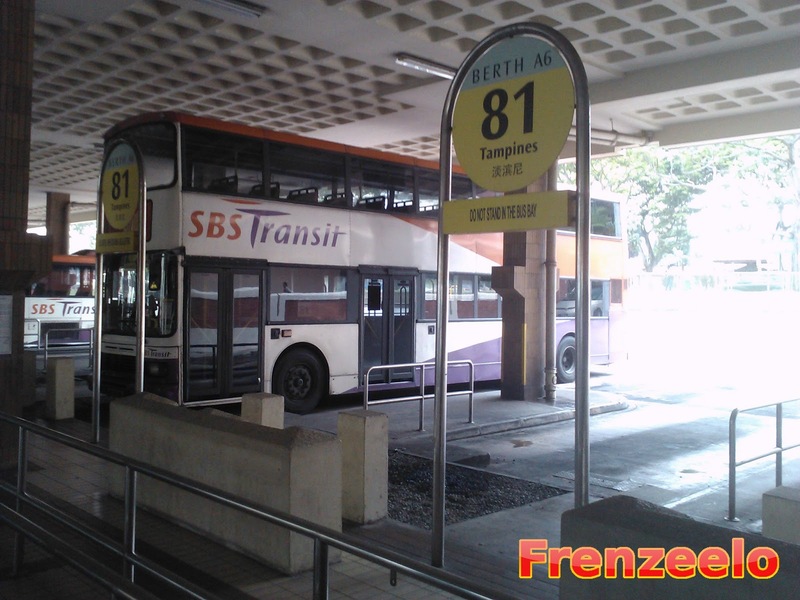 However, due to the new interchange, SBS Transit, the operator of Serangoon Interchange and this bus service, decided to make 81 a loop service which loops at Serangoon Central and Boundary Road. It still goes by here but doesn't terminate here anymore. Now the new interchange has no double decker service of any kind but there may be some in the future. Only time will tell. Another bus service that also received an amendment to the route was bus service 82. 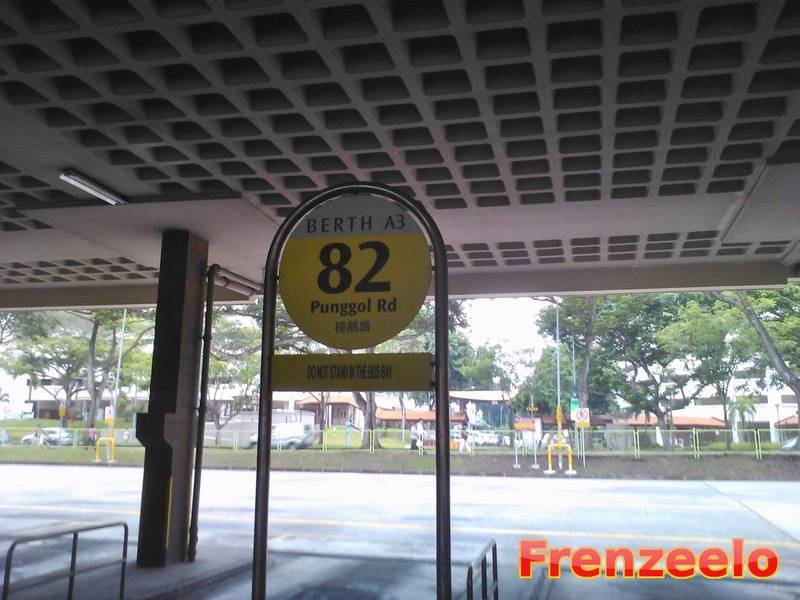 Service 82 used to be a loop service that ran from Serangoon Interchange to Punggol Road End (commonly known as Punggol Beach) which was introduced in 2004. Now, the bus operates from Punggol Interchange and loops at Serangoon Central and Boundary Road just like its former cousin, 81. What about those who want to go to Punggol Beach? Not to worry because SBS Transit introduced a new service from Punggol Interchange to Punggol Beach. It's a loop service known as bus service 84. It may be inconvenient to some people but they have to get used to it. Plus, there are new alternatives so it won't be such a hassle to current passengers. 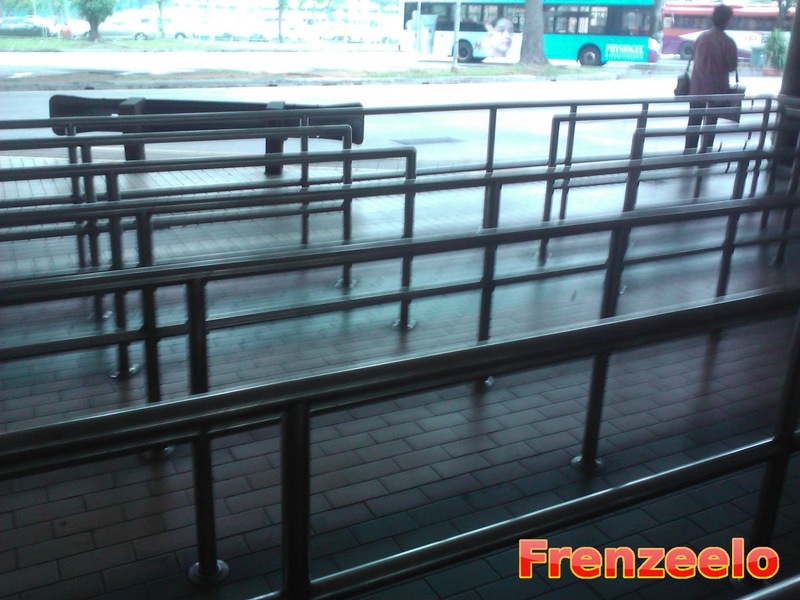 Old bus interchanges like this one always have long-winded waiting areas. A long-winded waiting area is when you have to enter from one point and can only join the queue if you walk all the way to the line of people. An example is shown above. Sometimes, it can be a hassle to walk all the way especially if the line of people is quite short. Most probably, designers back then wanted to overcome the problem of overcrowding that's why they created these designs. Nowadays, people don't prefer to line up and instead, they wait at the side for others in the queue to go in first and enter the bus after that. 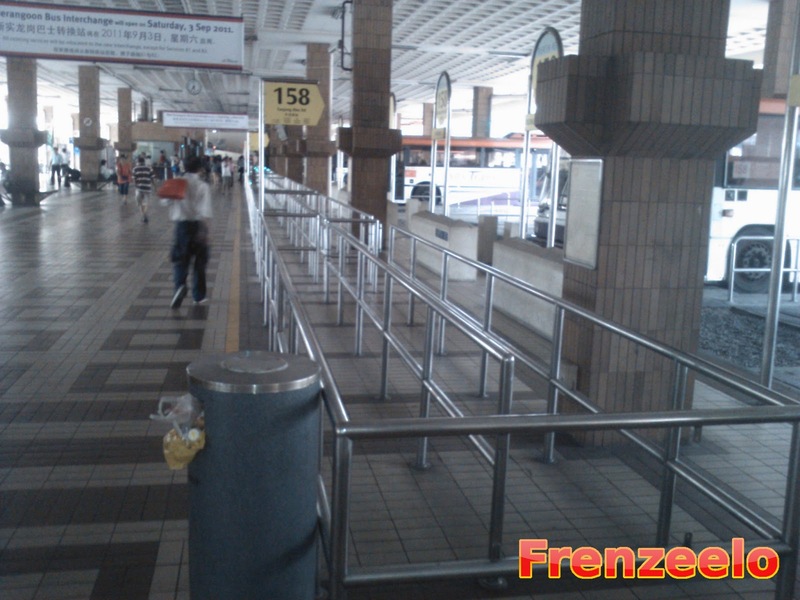 In most modern interchanges, these waiting areas have been shortened and yellow markings on the floor will be extended after that to overcome the problem of overcrowding. 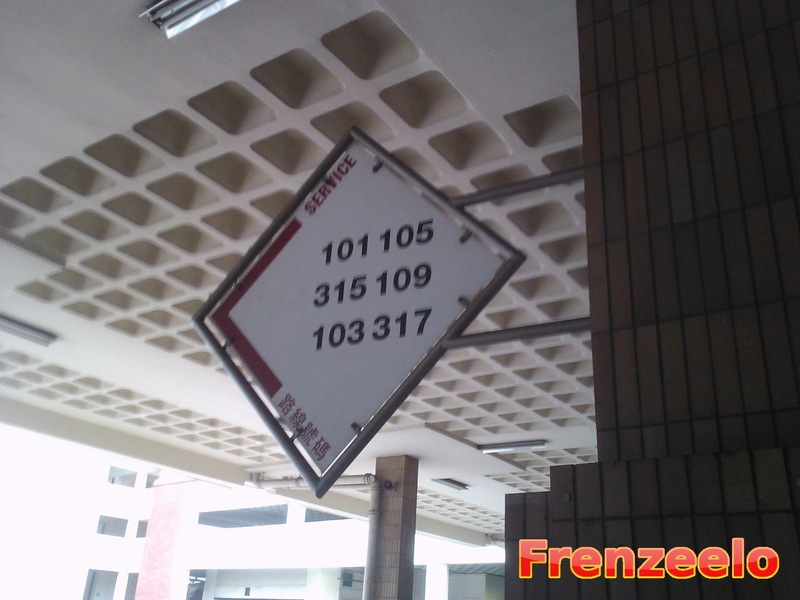 Times have changed and needs of the bus interchange have changed. 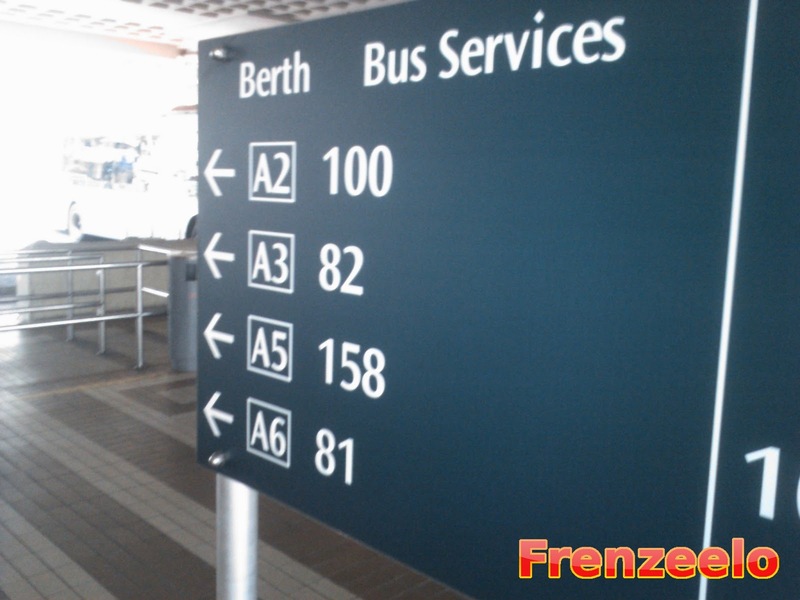 Each waiting area is also known as a berth. The first two berths (or three) will specially be allocated for alighting passengers and buses that terminate at the interchange. Bus berths signages are still largely the same as last time although the fonts used back then were different from now. 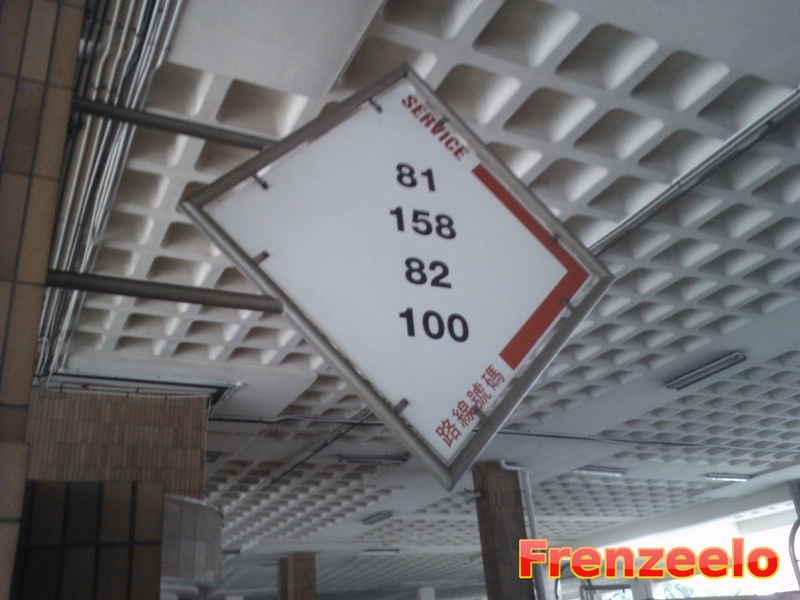 Usually, the signs will indicate the service number, destination point or looping point (for loop services) and the operation times. The signs are usually multi-coloured and you have to follow the colour on the floor to board the particular bus service. 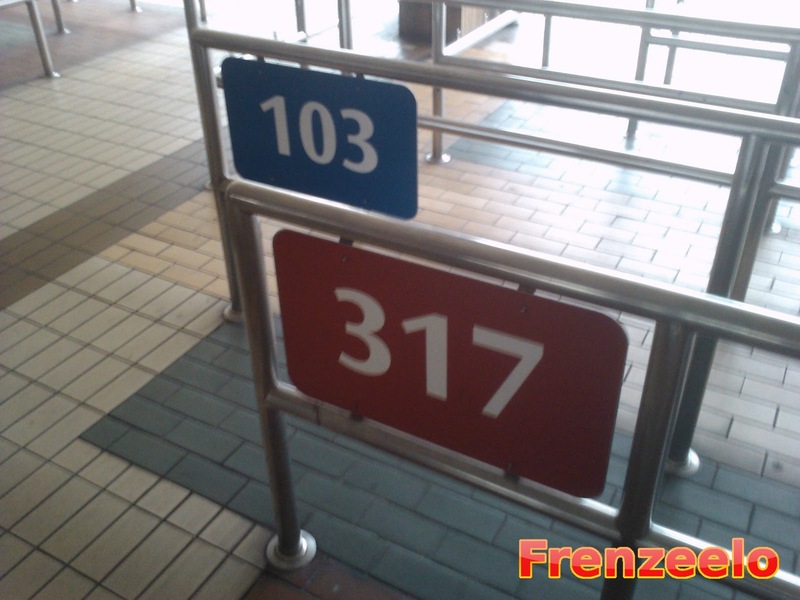 For example, at the old Serangoon interchange, 317's sign is red so the floor will be in red indicating that the red flooring is the queue for 317. Modern air-conditioned interchanges don't have coloured flooring anymore. 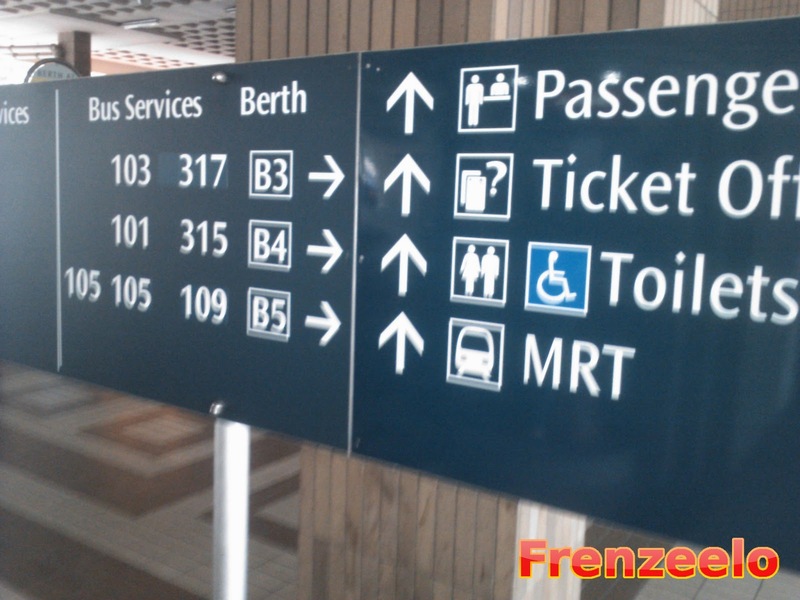 Bus service signages like these are present at all current bus interchanges to show passengers which waiting area/berth they should wait to board their buses. Other information boards include maps and routes of passing through bus services. There are also leaflets that include a list of places and the fares for each bus service. Only feeder bus services don't have these leaflets. All these information are vital for passengers to get to their destinations especially those that are new to the interchange. 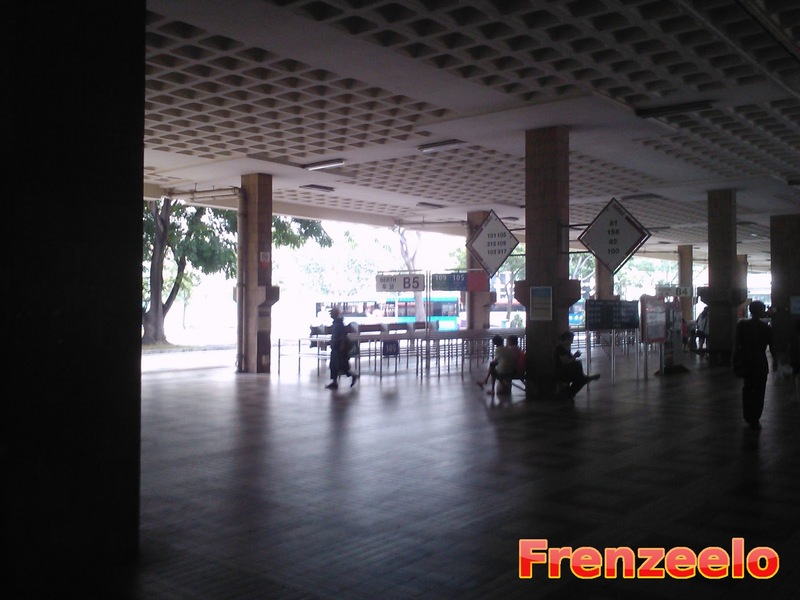 Here's some more pictures of the Old Serangoon Interchange. 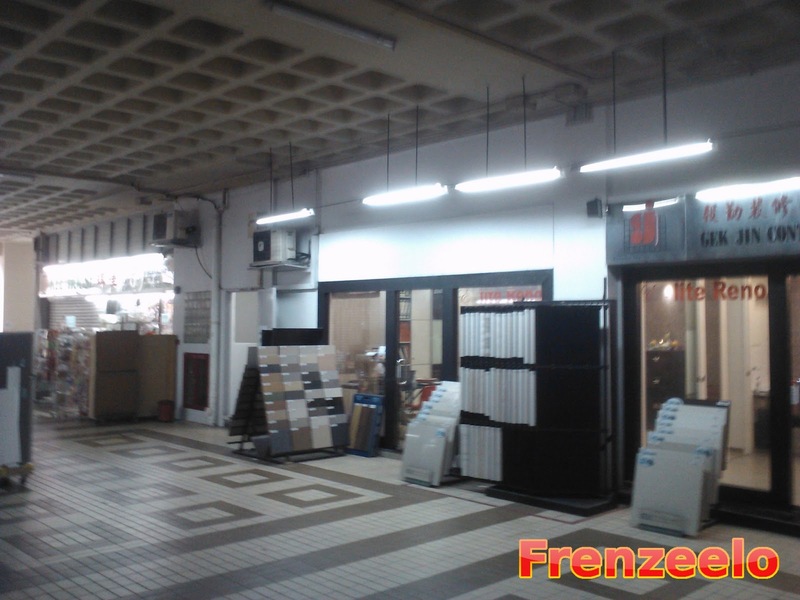 You can see the nostalgic brown ceilings, flooring, walls and pillars. Most new interchanges stick with grey colour schemes which can be kind of dull and boring. You can also see the door that leads to the car parks above and you can see the mini mart that used to be there. Here's a view of the bus driveways and the bus parking area. It's too bad that most of these bus services have been diverted to accommodate the new interchange which is just right behind. Here's another picture of the bus driveways but this time, it's at the opposite side of the building. The buses that were parked here had individual waiting areas. Right above the bus parking area is the car park. Just opened in the middle of last year, there is a new linkway that links the car park above to the nearby NEX shopping mall (in the background). This will probably mean that the structure won't be demolished any time soon. 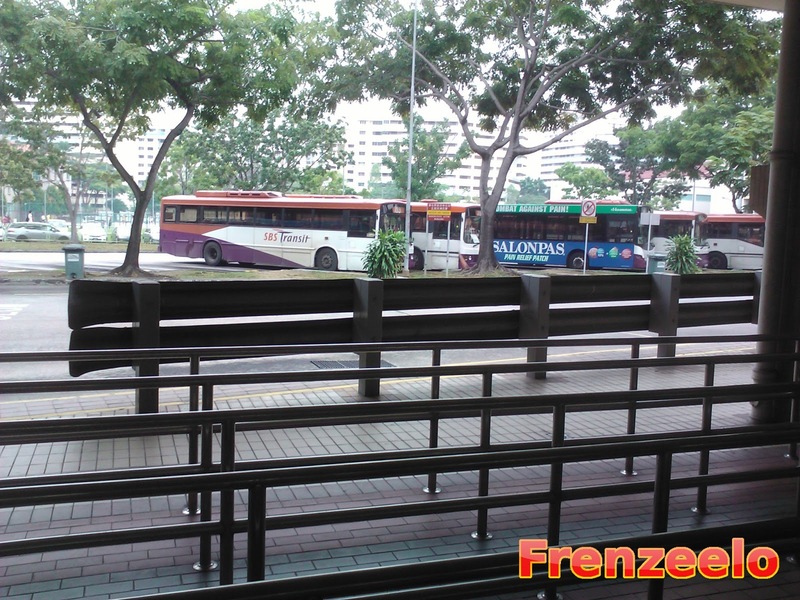 Other than bus services 81 and 82, other Serangoon bus services also had to be diverted although they terminate at the new interchange. It may be more convenient to some passengers while it may be inconvenient for others. People will get used to it. 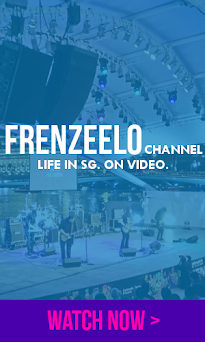 In conclusion, the Old Serangoon Interchange provided lots of memories for those who live near the area and those who regularly visit the interchange for their daily commute to work or school. More and more bus interchanges will become air-conditioned and will be integrated directly to MRT stations and shopping malls to provide a seamless connection for passengers. With the new Serangoon Interchange inside NEX Mall, it will all be different for regular visitors to the old interchange and for the bus drivers too. Just to let you know, the interchange structure itself is still there and probably won't be demolished any time soon because the car park is still in use and is linked directly to the mall. The interchange that's located below the building is now used as a giant shelter for passers-by to use to get from the mall/new interchange to the Serangoon Central town centre area. Let's all cherish old bus interchanges and not forget about its history.